The Network Clinical Advisory Board is made up of the Network Medical Lead, Network Manager & Lead Nurse, Medical and Nurse Leads from each of the West Yorkshire Critical Care Units, Commissioners and patients representation. The Clinical Advisory Board is the decision making body on behalf of the constituent network organisations. ​The role of the Board is to ensure collective responsibility and cooperation by all the organisations within the critical care network in developing adult critical care services in line with national and local requirements. 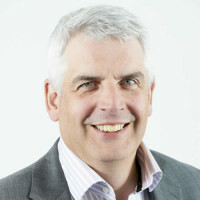 Dr Gordon Sinclair is the chair of the West Yorkshire Critical Care Operational Delivery Network Clinical Advisory Board. Dr Sinclair chairs the NHS Leeds West Clinical Commissioning Group Governing Body and is a founder member of Leeds Health & Wellbeing Board.